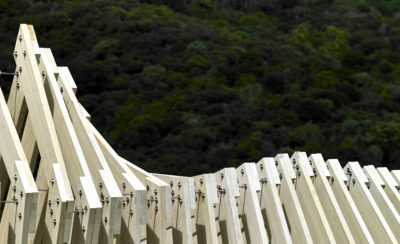 The house sits on a headland above Onetangi Beach on Waiheke Island. The compact site slopes away steeply to the rocky coastline below. Our clients are expat New Zealanders who live increasingly on Waiheke for part of the year. 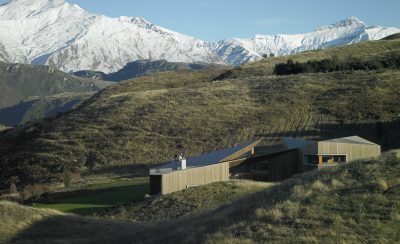 They asked for an informal house with a beach side atmosphere which was sensitive to the landscape and did not dominate the ridgeline. Our thinking for this project was based around a loose interpretation of, and reference to, the fortified Maori Pa forms historically found on prominent headlands, coupled to ideas based on collections and clusters of stones, driftwood or shells often found on beaches. This thinking led us to creating an open, organic plan that explores the idea of fluid space ‘held’ between more solid forms. The design offers open, flowing & boundary-less living space contrasted with more focussed and enclosed cave-like retreats for lounge and bedroom areas. Each pod form frames distinct views of coastline and seascape providing specific focus within the 270 degree view the headland affords. The atmospheres of the design stay true to the concept with the flowing, minimal interstitial space contrasted with the textured, woody pod forms to create a home offering at once intimacy and openness. 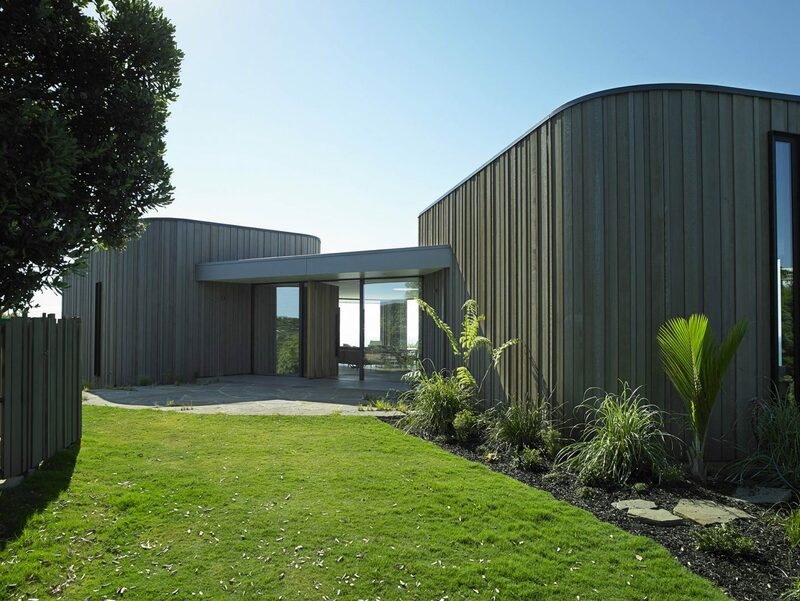 The design of the house, as an organic collection of smaller forms, shows sensitivity to the landform of this prominent headland and empathy with the scale and form of the traditional baches on Waiheke.